Picturing himself on the Western Oregon University lacrosse team was easy for Jonathan Williams. Western Oregon’s coach is the brother of McNary head coach Mike Hochspeier and Dan coached Williams last summer. Williams also looked at playing lacrosse at Oregon State but said he felt better at a smaller school. An assistant coach at Westminster College in Salt Lake City, Utah reached out as well but busy with football Williams wasn’t able to attend one of the team’s recruitment camps. George Fox and Puget Sound were interested in Williams playing football but neither university has a lacrosse program. “Of course I still have to go to classes and everything but in the end that’s really what I want out of college is to be able to play college lacrosse,” Williams said. Williams was first introduced to lacrosse in middle school while watching his older brother play for McNary. He then made the varsity team as a freshman. “We had some really good players so it was more of just me trying to get them the ball instead of me being the main scorer,” Williams said. After scoring just four goals his first season, Williams scored 46 as a sophomore, including a game-winning goal in overtime to defeat rival Sprague. “I still go back and watch that video to this day, especially when we’re about to play them and I still think about it and hold it over their coach’s head because I keep in touch with him,” Williams said. 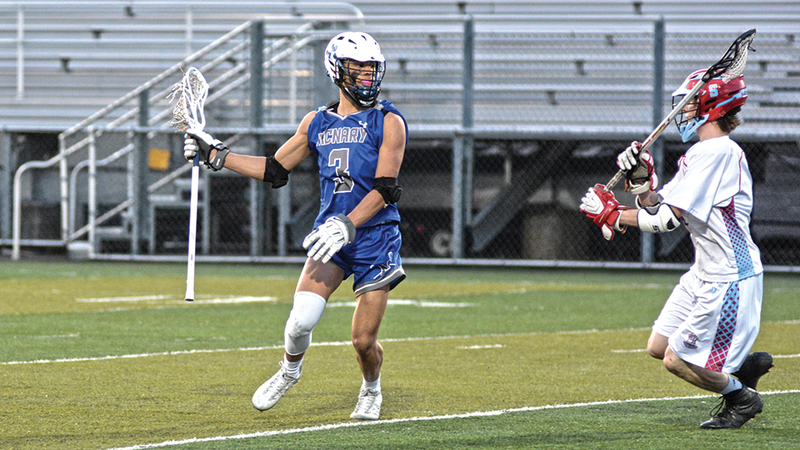 Williams scored 46 more goals as a junior and then led the league with 70 as a senior, including seven against Ridgeview, to finish his career with 166. He was named First Team All-Conference and selected to the Oregon high school all-star game three years in a row. Western Oregon, a Division-II program, plays in the Men’s Collegiate Lacrosse Association.